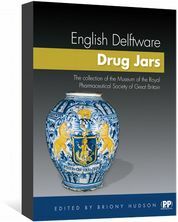 The art and history of the English delftware drug jars in the Museum of the Royal Pharmaceutical Society of Great Britain. 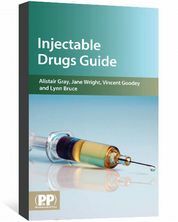 This beautiful book contains the first ever comprehensive survey and catalogue of the collection of English delftware drug jars held in the Museum of the Royal Pharmaceutical Society of Great Britain. The book also includes details of tin-glazed barbers' bowls, pill tiles and posset pots in the collections. Delftware drug jars were originally manufactured in London around 1570. 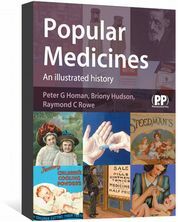 They were expensive, highly prized objects, used by successful apothecaries for storage of pills, ointments, syrups, oils and confections. They were often highly decorated or labelled to indicate their contents. Today, English delftware drug jars are rare and highly collectable. The Museum of the Royal Pharmaceutical Society of Great Britain holds one of the finest collections of delftware drug jars in the UK, and this beautiful collection has been photographed and catalogued for the first time. 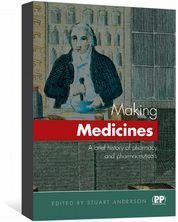 This unique and specialist publication will appeal to historians, collectors and libraries alike and also to anyone with an interest in archaeology and medicinal history.